The Flower Market at MD Nursery & Landscaping is a full service floral shop that provides personalized consultation for every event. Whether you are planning a destination wedding, wishing someone special a happy birthday, or remembering a loved one that has passed on, our dedicated staff will assist you with all your floral needs. We offer delivery for everyday flowers to Teton Valley locations and Grand Targhee. For weddings and events, our service extends to Jackson Hole and Grand Teton National Park locations. 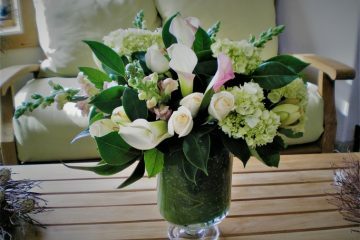 Each week we have various shipments of fresh cut flowers arriving from different parts of the world. Also, during the summer months, we happily offer fresh flowers from numerous local growers in and around our valley. Please call today for a local delivery, or, stop by our Flower Market and create your own unique bouquet from an array of fresh cut stems!